The American authoress Patricia Highsmith wrote, amongst her other literally works, 22 novels of which around two dozen were adapted for either the TV or the cinema. Cinematic adaptions included several of her five Tom Ripley novels. The best-known adaptations are probable Strangers on a Train (1951), Plein Soleil (1960) its American remake The Talented Mr Ripley (1999), Ripley’s Game (2002) and The Two Faces of January in 2014. The latest of her novels to be served up for the big screen is her only non-crime novel and a landmark in LGBT fiction, The Price of Salt that was published in 1952 under the pseudonym of Clair Morgan. The novel was later republished under the title of Carol (2015). It tells the story of a developing love affair between a young aspiring photographer Therese Belivet and an older privileged housewife Carol Aird who is going through a rather acrimonious divorce that involves the custody of her young daughter. 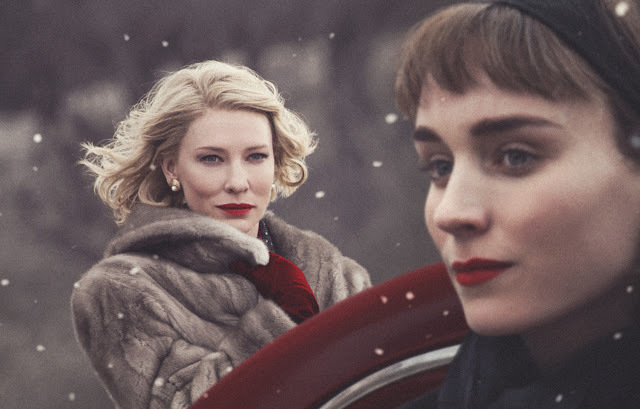 Set in New York City in the early 1950’s it stars Cate Blanchett as socialite Carol Aird, Rooney Mara as Therese Belivet a role that raises her above the two dreadful films I had seen her in previously, namely The Social Network (2010) and the lame US remake of The Girl with the Dragon Tattoo in 2011. 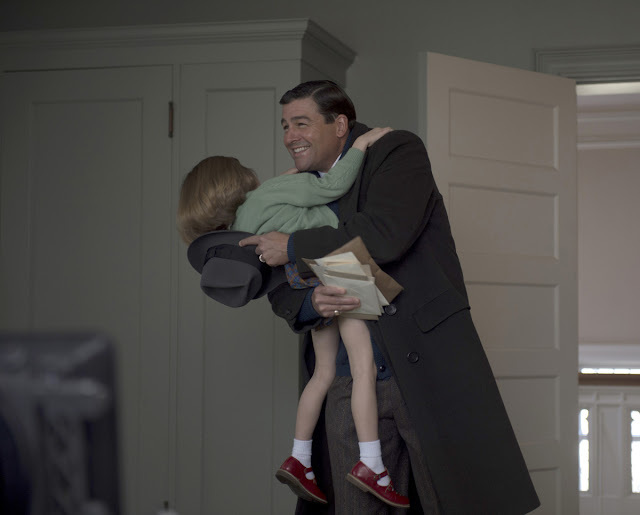 Also cast in important roles are Sarah Paulson and Kyle Chandler. The movie was directed by Todd Haynes who produced Meeks Cutoff (2010) and Wendy and Lucy (2008), and whose directorial credits include Velvet Goldmine (1998), Far From Heaven (2002) and I’m Not There (2007). ....which in turn bears down on Carol. 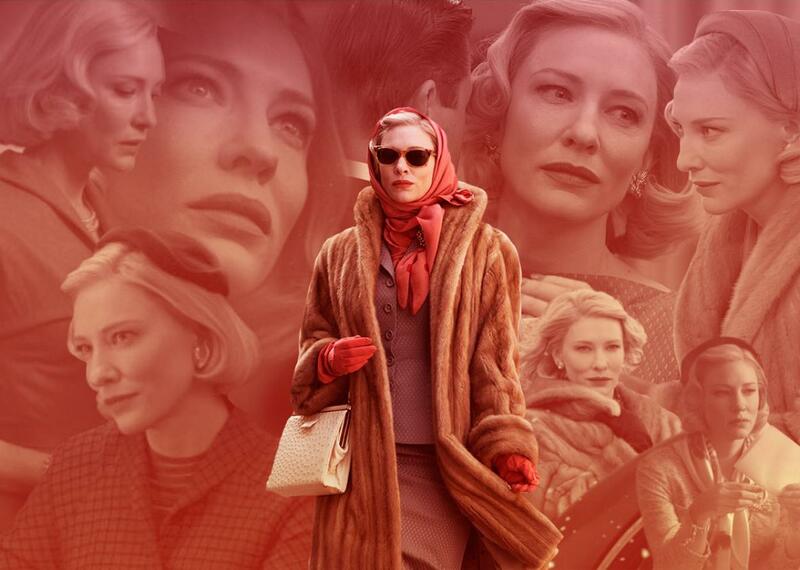 Haynes has elicited exceptional performances from both Blanchett and Mara from whose portrayal’s one can feel the warmth that develops between the women radiating from the screen. This along with the beautiful 1950’s clothes, superb cinematography by Edward Lachman who has previous with Haynes and a soundtrack by prolific film composer Carter Burwell, probable best known for his Coen Brothers scores, makes this a film not to be missed by anyone cinematically turned on by a good well written drama. Its just a shame that the movie was snubbed by the movie establishment and missed out on a Best Picture nomination at the Academy Awards - because of its subject matter?